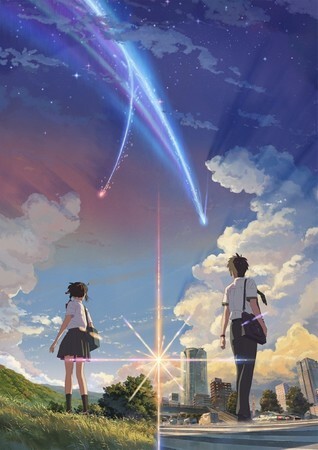 Your Name arrives on popular video on demand services. Available now to purchase and download on various platforms. You’ve watched and loved it in the cinema (perhaps even in IMAX! ), you’ve relived your enjoyment of it on home video courtesy of our DVD and Blu-ray releases, and as of today we’re thrilled to announce that you can now catch Makoto Shinkai’s smash hit film Your Name on a plethora of popular video on demand services for UK viewers. In short, it’s the perfect way to ensure that you can watch Your Name wherever you go and no matter where you are, whether it’s at home or on the move. From today, Monday 29th January, you can now find the film to enjoy in both English dubbed or Japanese audio with English subtitled forms, with the services listed below offering the movie to be purchased and viewed at your leisure. We’ve also provided links to the film on each service wherever possible below. We’re sure that we don’t need to tell you any more about Your Name at this juncture, but just in case you’ve somehow missed all of the buzz around the movie here’s the English dub trailer for your perusal. Now that you have even fewer excuses not to catch Your Name, we’ll leave you to enjoy the film!